Victory, another masterpiece created by our Bluedio team, adopt PPS 12 exclusive Acoustics Technology, transcendent S/PDIF Optical Transmission, and totally new playing method: touch-and-drag operation as well as specially designed unprecedented 12 drivers, to bring you a totally different sound experience and share you the excitement of honor and glory. The 3.5mm audio jack on both two sides of the headphones are useful; while the S/PDIF input jack is on the right ear cup. If the headphone has noises, please try to unpair the headphone, remove the pairing memory and than pair again. If the earcup squeak, add some lubricating oil maybe helpful. Reset if one ear does not work well: Power on the headphones.Charge the headphones for 10 seconds or so, the headphones would power off on their own(you can see the LED goes out), unplug the cable.Power on the headphones again.And remove the pairing memory of your device,then pair again. 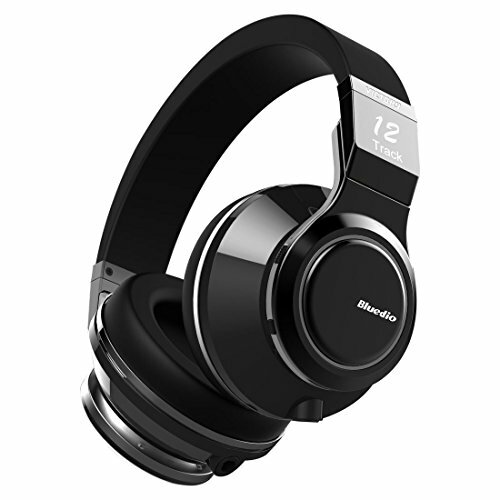 1.PPS 12 ELECTRO ACOUSTIC TECHNOLOGY: Bluedio Victory developed with an advanced propietary technology to provide clarity and deep sound, particularly for music and films. 2.TRANSCENDENT S/PDIF OPTICAL TRANSMISSION: 24bit 48kHz audio resolution for high definition audio quality. 3.TOUCH-AND-DRAG OPERATION: A sensitive touch pad on the right ear, giving you full control of your listening experience. 4.PROTEIN EARPAD: High quality skin-texture earpad, designed for your fit and comfort, allows you to enjoy high-quality, Long-listen comfort. 5.DUAL MODES: Can function wirelessly via bluetooth, or wired via 3.5 mm auxillary cable, 6.3 mm adapter or optical audio cable (provided). Wired mode is suitable for high bandwidth mp3 feed.